It takes a lot for Southerners to willingly brave the cold weather for hours on end; when they do, it’s usually for a football game. 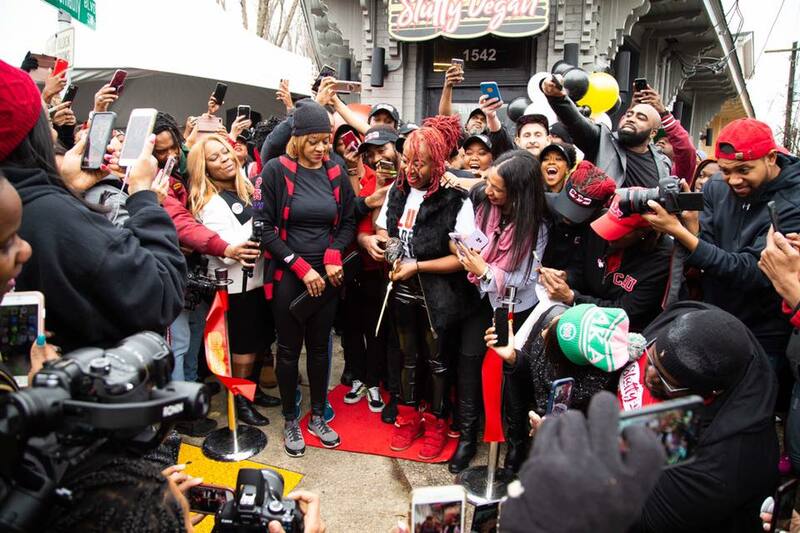 Yet, on the day the Slutty Vegan restaurant was scheduled to open its doors, a crowd of more than a thousand accumulated alongside Ralph David Abernathy Boulevard on a chilly Atlanta afternoon. Never in her wildest imagination did 31-year-old newbie restaurateur Pinky Cole think this enthusiasm could be for a burger—a vegan burger of all things. 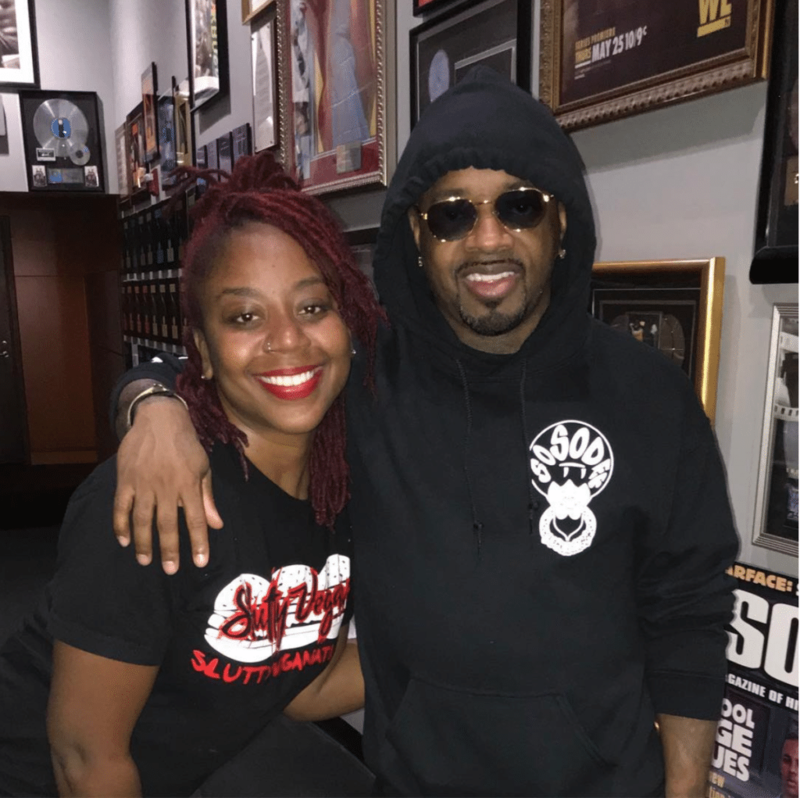 So, Cole, the owner of Atlanta’s instant foodie phenomenon, Slutty Vegan, is understandably awed with her newfound success. Most entrepreneurs could only dream of an overnight success story like this, but Cole just happened to have the sauce—the secret sauce (and it’s plant-based of course). Finding a lack of vegan options on Atlanta’s culinary scene, Cole decided in August of 2018 to do it herself. 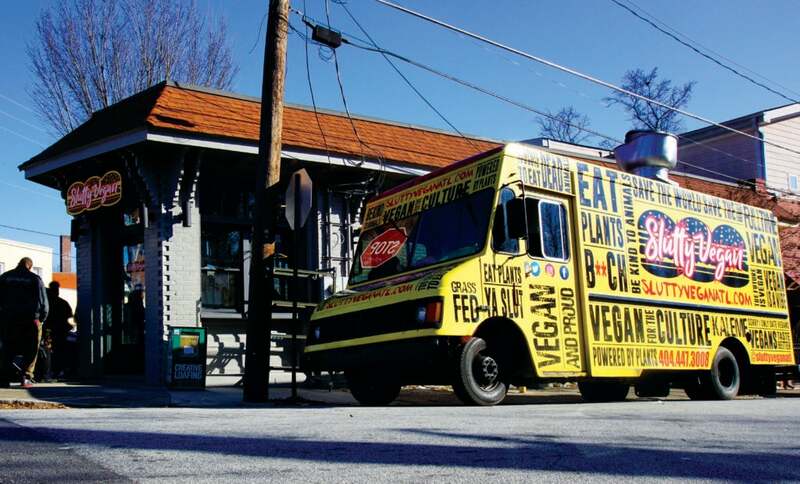 Within a few weeks of initializing her dairy- and meat-free burger concept in a commercial kitchen, buzz grew over social media and through word-of-mouth, moving her to scale up her business to a food truck. When lines grew by the hours (and we’re talking two- to four-hour waits), she knew a permanent venue was inevitable. 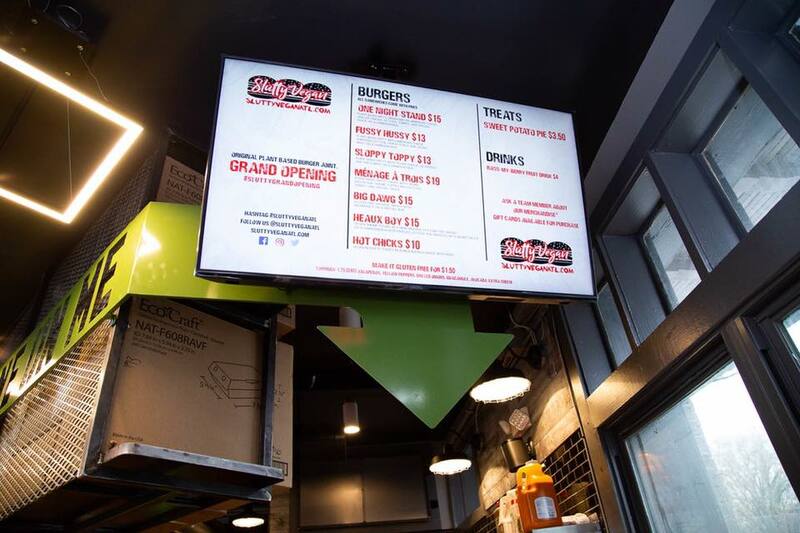 Less than six months later, the burger joint opened to a line of 1,200 people, chomping at the bit to, well, chomp on vegan bites. 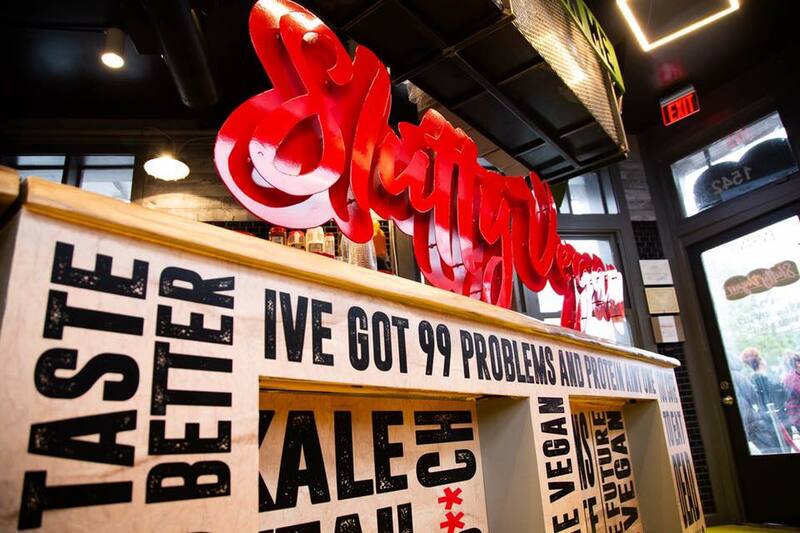 Whether food-curious or true vegans, Slutty Vegan playfully adorns those who sample her burgers with the distinction of being “sluttified.” Among the list of “sluttified” patrons are celebrities, such as actress/comedian Tiffany Haddish, Atlanta Mayor Keisha Lance Bottoms, rapper Lil Baby, and longtime vegan rapper/producer Jermaine Dupri. Cole appreciates the celebrity endorsements, not just because they’ve help explode her brand but because they’ve furthered awareness to the vegan movement—a movement which has grown six-fold since 2014 according to new research. Cole, who ironically came from a career as a casting director for Iyanla: Fix My Life, sees herself as a crusader for veganism, in which she hopes to fix the lives of others through the health benefits of plant-based eating. “You can heal yourself. And even if it starts with vegan junk food, it’s the first step in the right direction,” Cole says, touting the diet, which is linked to lower cholesterol, improved heart health and better management of diabetes. And that passion might just be Cole’s recipe for success. 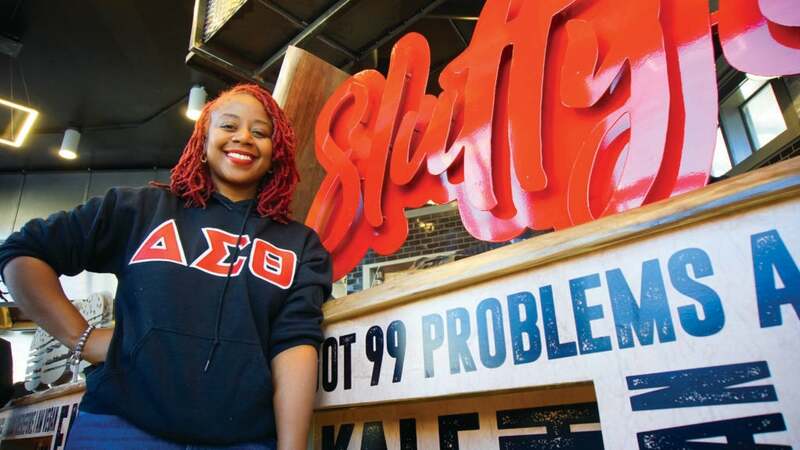 When asked about next steps for Slutty Vegan, she doesn’t mention a focus on bottom lines, market shares or scalability; she just talks about pursuing more ways to heal her community through food awareness. “This is the advice that I would give to entrepreneur if it’s something that you want to do, make sure it’s something that you naturally love to do,” concludes Cole, leaving future startups a message to chew on.